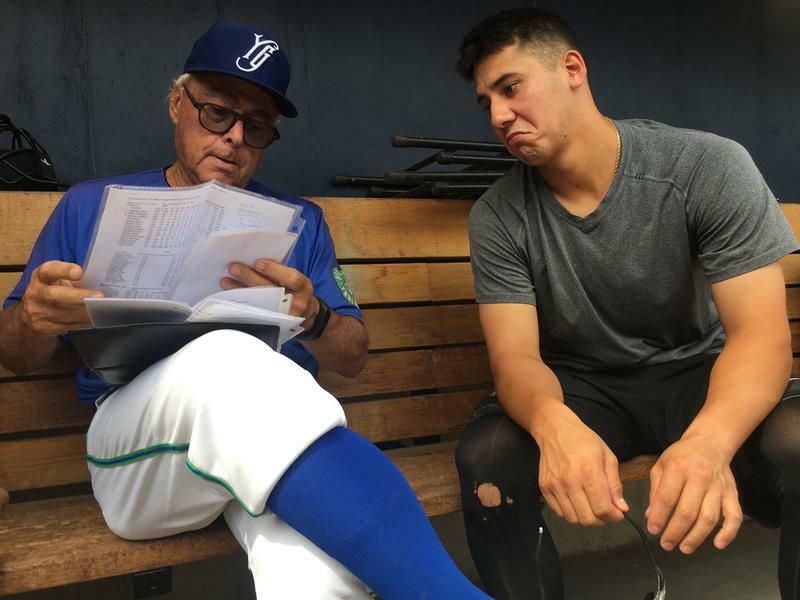 Yard Goats manager Jerry Weinstein and catcher Dom Nuñez go over the Altoona roster. 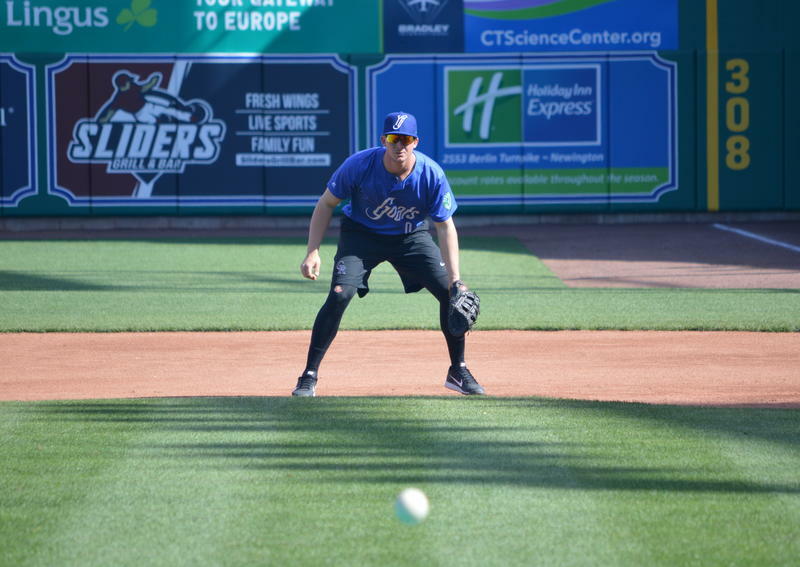 Jerry Weinstein running bunting practice the afternoon before a night game at Dunkin' Donuts Park. 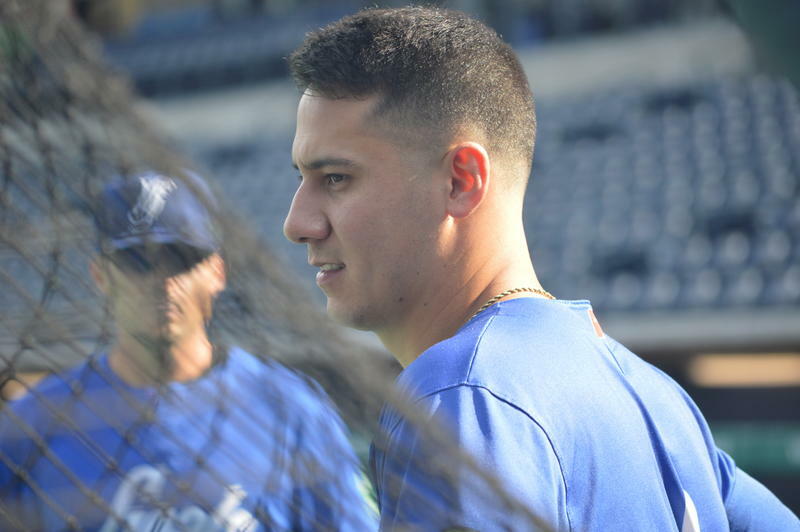 Dom Nuñez watches batting practice. 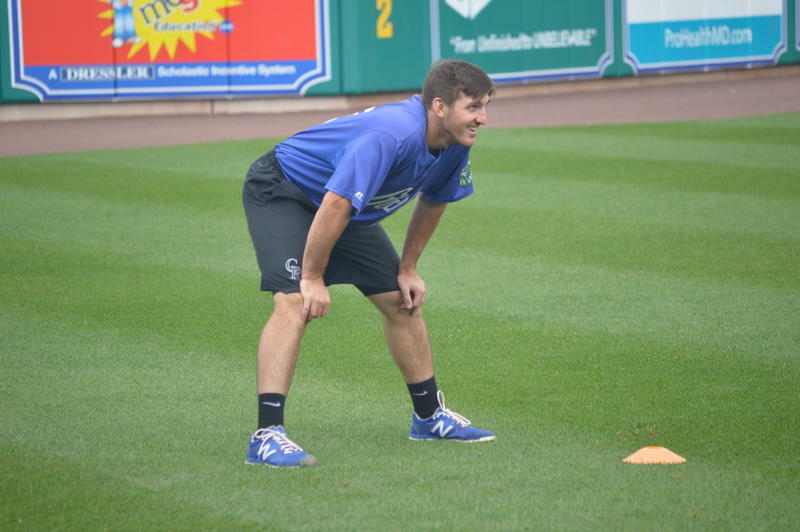 Yard Goats pitcher Craig Schlitter during pregame workouts. 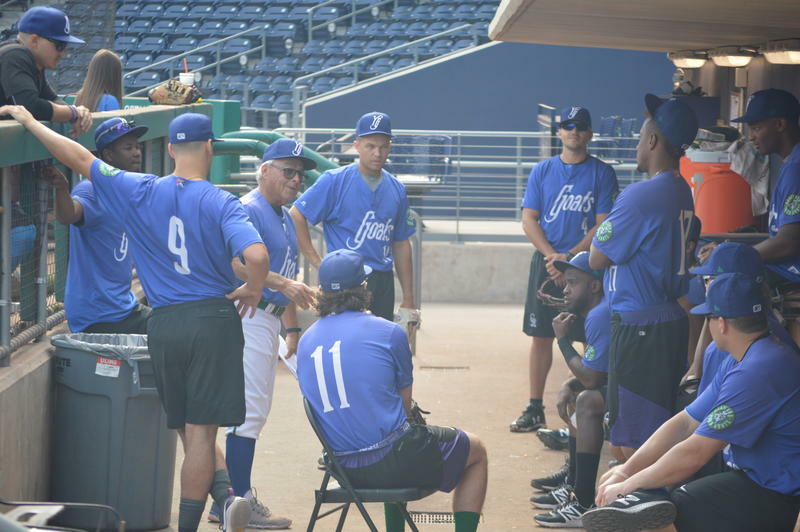 Jerry Weinstein meets with his team in the home dugout before the Yard Goats' final 2017 home game on August 31. 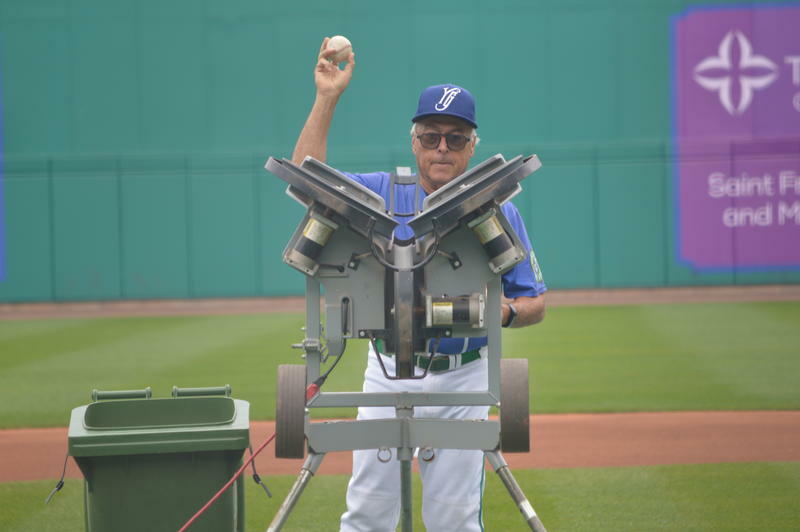 He never played professional baseball -- he never even tried to -- but he has such a deep knowledge of the game that he makes a point of keeping the players aware that every piece of advice he gives them could be, well... wrong. 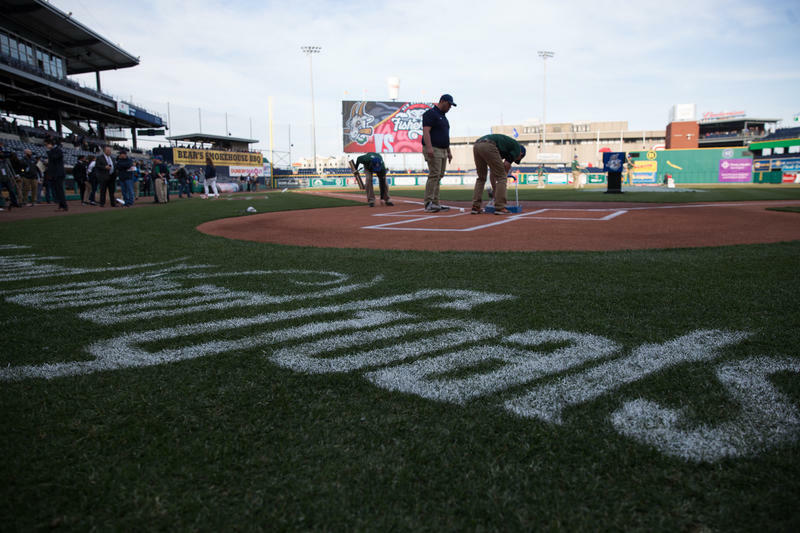 He's made a life out of teaching and coaching and developing baseball players, and the philosophy he's crafted rests mostly on empowering the players to teach and coach and develop... themselves. 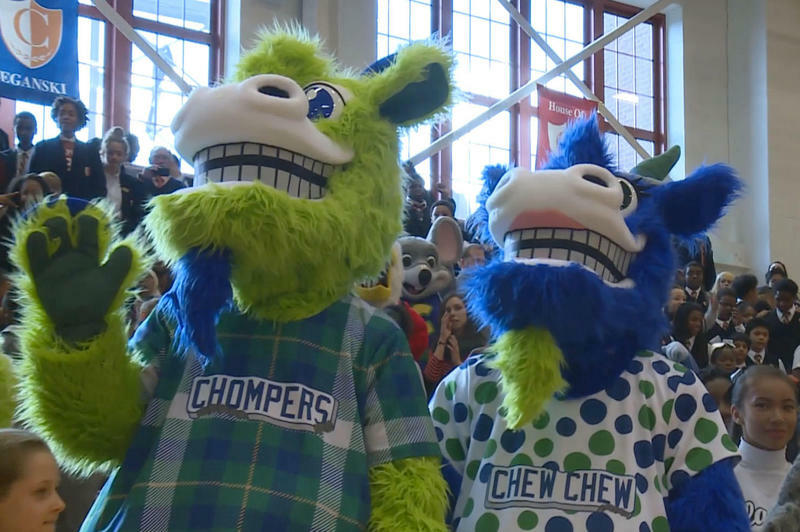 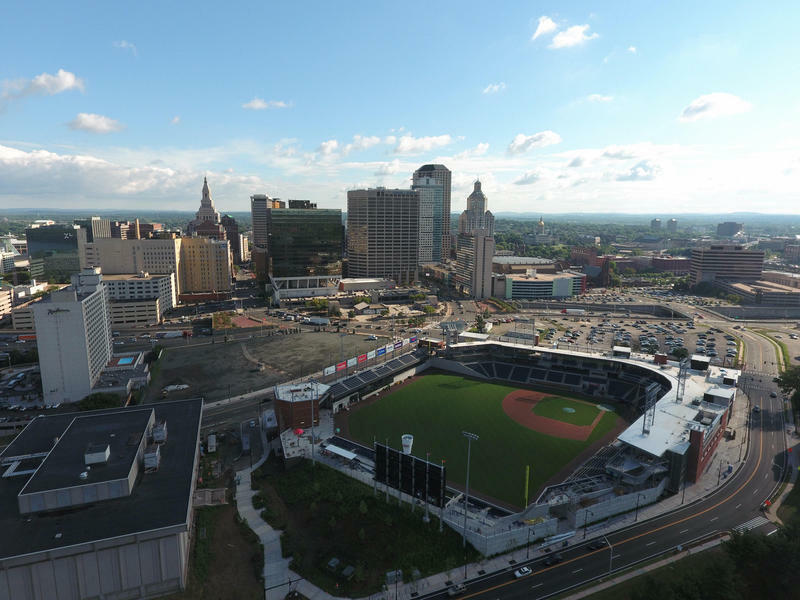 He says repeatedly that his job is to eliminate his job, and it turns out that in one more little act of contradiction, his first season as manager of the Hartford Yard Goats will be Jerry Weinstein's final season as the manager of any baseball team.